Expect nothing but a true taste of Turkey in Sydney’s heart. 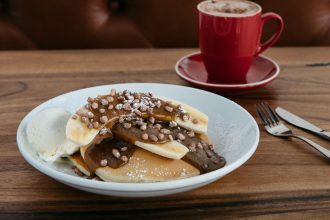 Located in Barangaroo’s dining precinct, Anason sits outside Barangaroo Wharf with front row views of the beautiful bay and Balmain in the distance. Coincidentally, the experience of ‘dining near the water’ is similar to the many stories told by waiters of where the food or dish is derived from. Styled with a heavy southern-European décor, guests are seated in an alfresco dining setting with royal blue azure tiled tables and straw chairs. 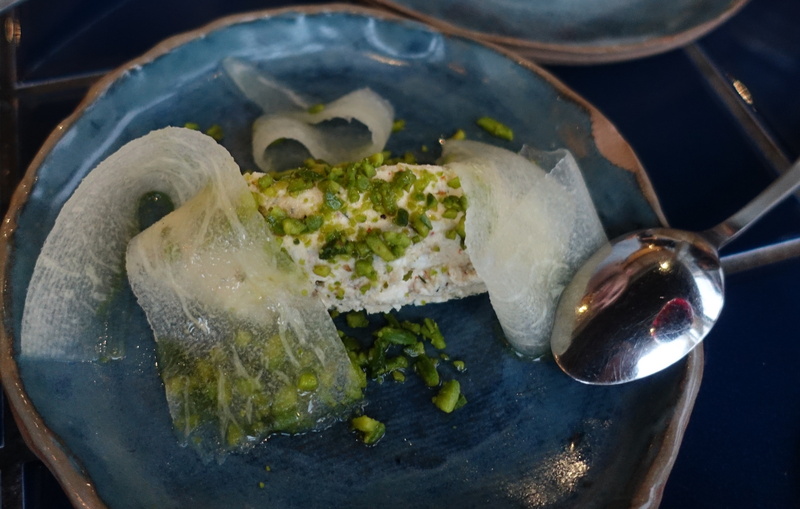 Much to the heavy influence of Greece, the food served at Anason is anything unlike from the Turkish cuisine found anywhere in the world – apart from Turkey of course. Start your journey at Anason with a selection of bread. Their Pide ($3) is essential alongside their renowned Simit ($5), a warm sesame ringed pastry that’s perfect for breaking into pieces and teams perfectly with their fresh dips available. For cheese lovers, opt for the creamy Chilingir ($18) that’s mixed with fresh feta, macadamia and walnut balls and topped with delicate piel de sapo melon shavings. 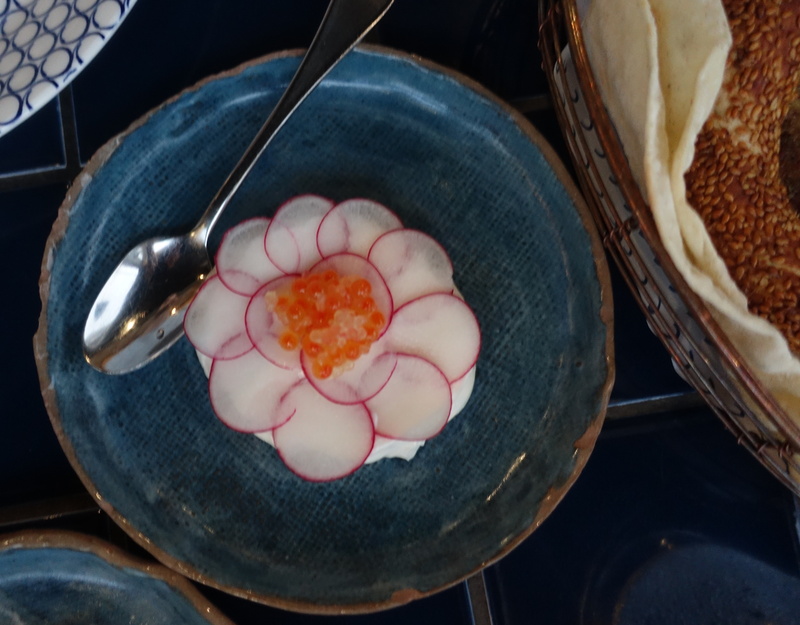 Otherwise, a popular choice would be the Tarama ($17), a combination of cold white cod roe, finger limes and radish discs. For a more refreshing entree, Anason is renowned for their Pastırma ($22), which is surely to be a favourite throughout the night. The dish itself although thought to be quite simple, is cured to absolute perfection. Mixed to make a salad, the salmon is paired with fennel and pickled chillies to create a refreshing starter with a definite kick at the end. You’ll definitely want to order doubles of the Pastırma. 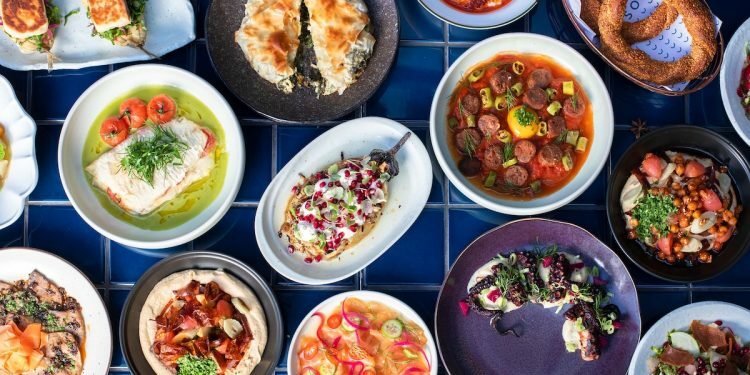 Remembering that Anason specialises in smaller, shared, tapas like meals; begin exploring your way through the mains by choosing a variation of seafood to red meat – a summation of the Turkish cuisine. Start your journey with a glass of red 14 Vinkara wine that’s sourced from mid-north Anatolia, or a bottle of Efes beer – the ‘Corona’ of Turkey. 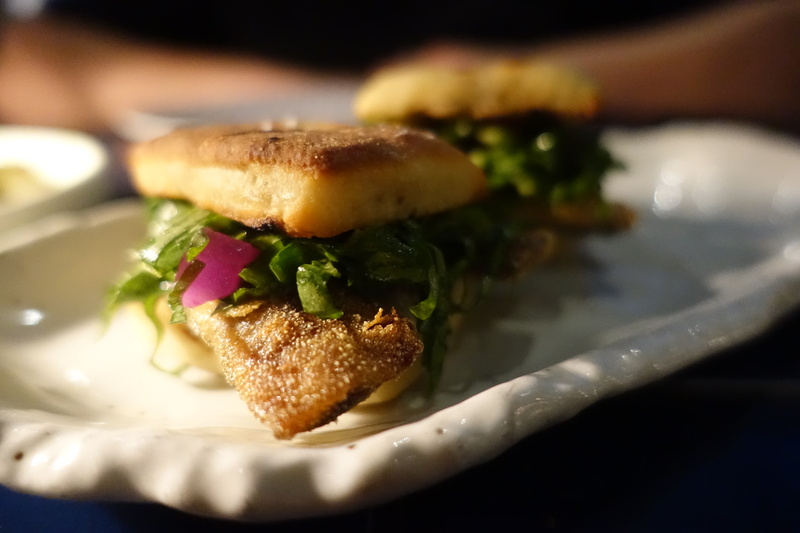 Start with the Balik Ekmek ($16) which is a lightly fried sardine sandwich filled with rocket, pickles and yoghurt. Taking inspiration from the sardine sandwich sold on the riverbanks throughout the Bosphorus region in Turkey, there’s no denying that whether you’re a sardine fan or not, the Balik Ekmek will definitely have you bewitched. 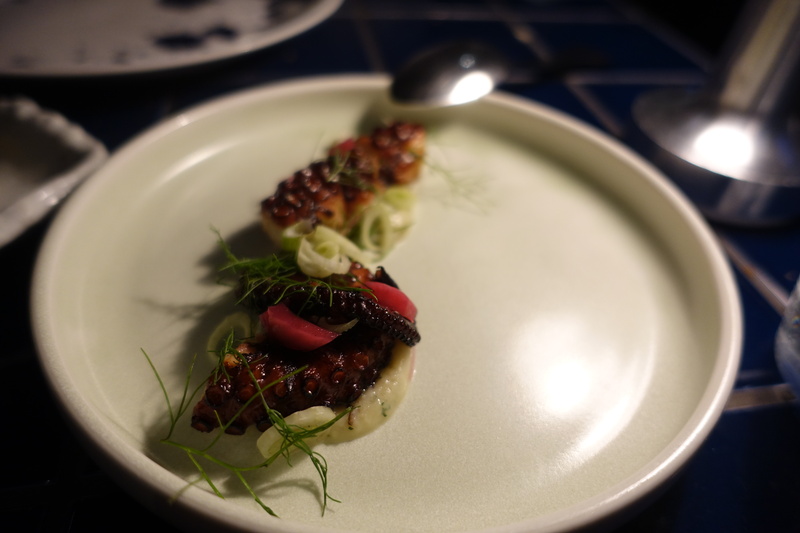 Next, pair the Fatush ($17) salad with the Ahtapot ($28) octopus dish. The refreshing combination of lettuce, radish, sour apple, cracked bread and mint pairs seamlessly with the grilled octopus mixed with broad bean fava and sumac pickled onion. Regardless of your time of visit within the year, the crisp and light flavours will remind guests of the beautiful summer flavours and atmosphere found within Turkey. If seafood isn’t first preference upon your visit, instead, choose the Sucuk ($26) which is similar to the aspects of a hot-pot containing camel sausage, egg, curly sweet peppers and tomato – definitely not recommended for those with little to none spice tolerance. 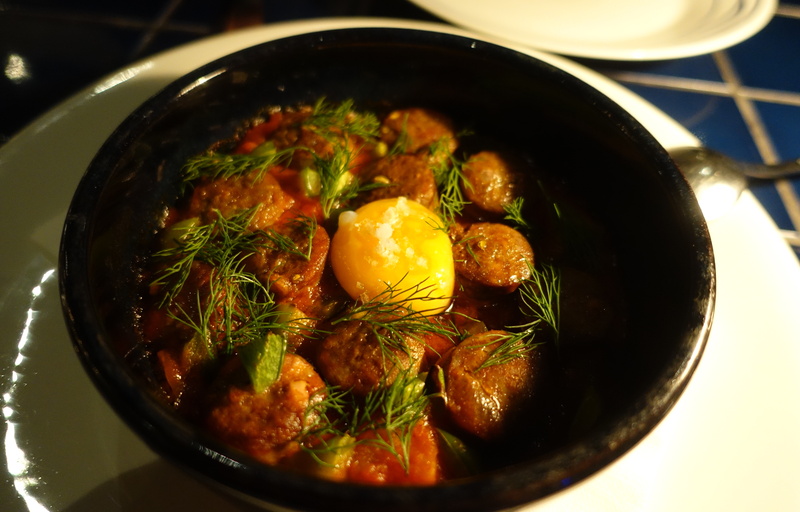 For a more mild sensation on the palate, Küsleme ($38) would be the perfect choice. 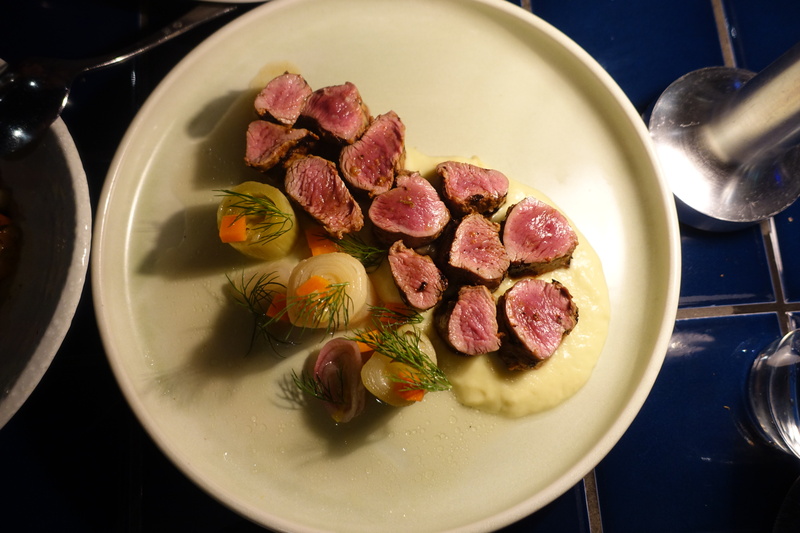 The dish is comprised simply of medium-rare lamb fillet teamed with charred leek begendi – it will be anything far from simple. Finally to end your dining experience at Anason, finish with their renowned Baklava – described as being legendary to say the least. 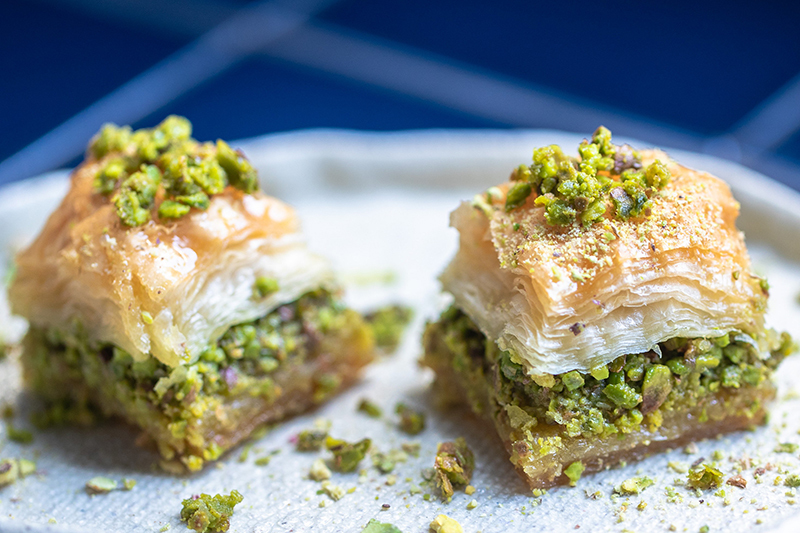 The intricate layers of pastry to crushed pistachios and the exhilarating syrup will simply melt in your mouth – exactly how Baklava should. Acing not only the ratio between the three main ingredient elements, the flavour in itself is simply extraordinary and life changing. 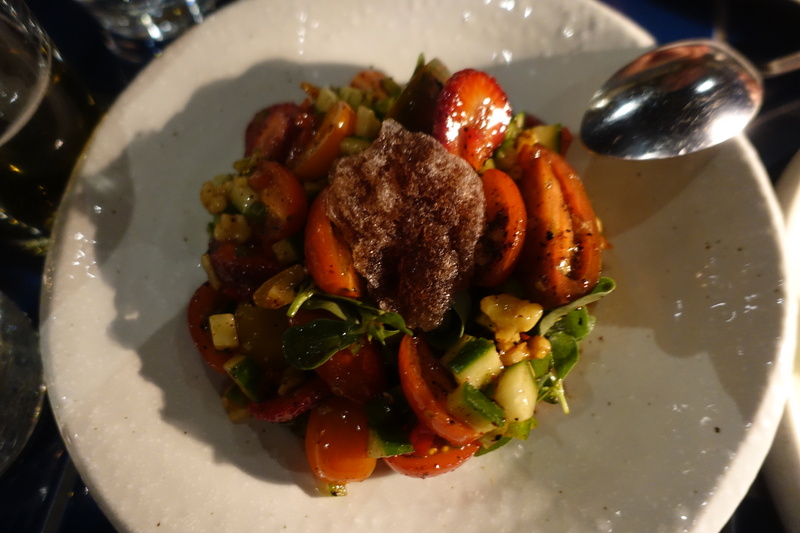 Overall Anason can only be described as an exceptional experience. Everything from the service to the atmosphere and of course the outstanding food is a true journey and representation of Turkey. The food allows guests to travel through the many vibrant cities, souks and traditions of the beautiful country – something that the waiters describe so elegantly and passionately. Each of the dishes are created, prepared and styled to absolute perfection. 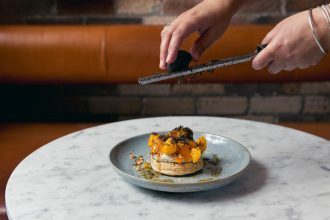 Served and shared to guests, each of the wonderful creations are traced back to a background story of a person, place or experience – the true aim of Anason.